A year ago I was bridesmaid for one of my close friends. They got married on an old cider farm in Somerset, and were coming out to California for a visit for their one year Anniversary. I was looking for something nice for a gift, and came across a no longer available item on Etsy. You can see my pin here. 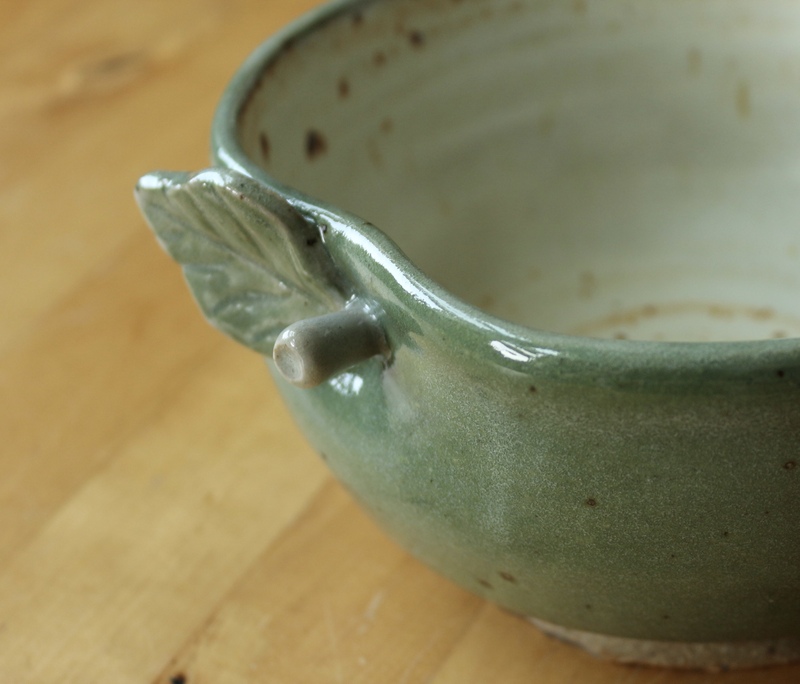 As it was no longer available, I decided to try and make one in pottery class, but feared that I lacked the skills to carry it off……. I think it came out pretty well, even warranting a compliment from my instructor that it was “actually, pretty spectacular” – and he meant it in a good way! I should have recorded it for posterity. Hahah! 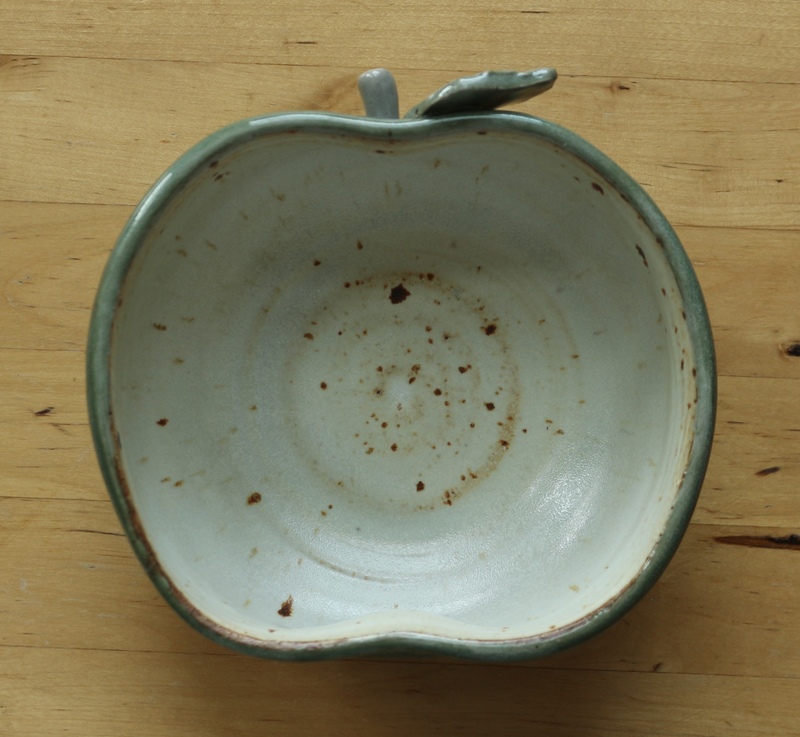 The basic bowl was thrown on the wheel, then altered into the shape of an apple by indenting it on either side and shaping the sides in between. 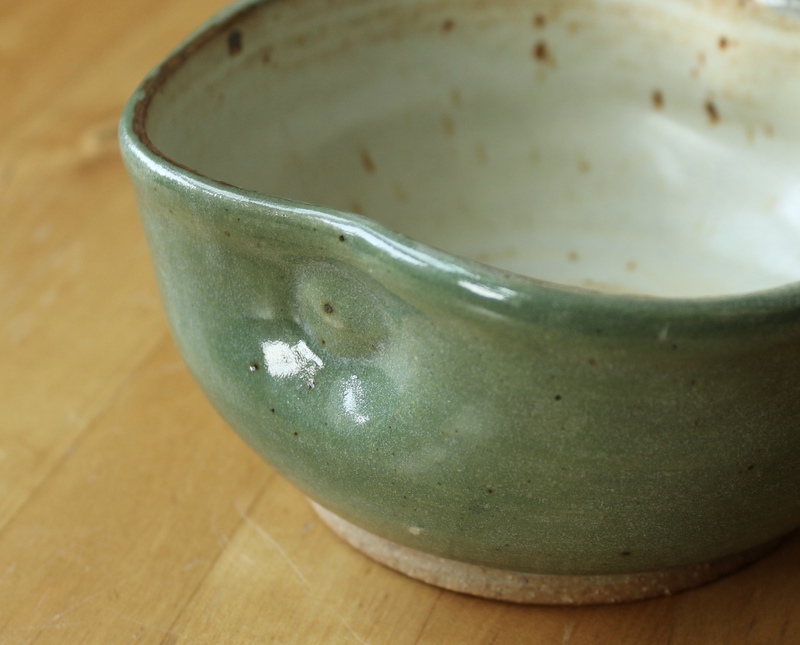 The inside of the bowl is glazed with Mamo White, a stable matt glaze, with the outside just glazed in clear. I also added their names and the date of the wedding on the bottom of the bowl. 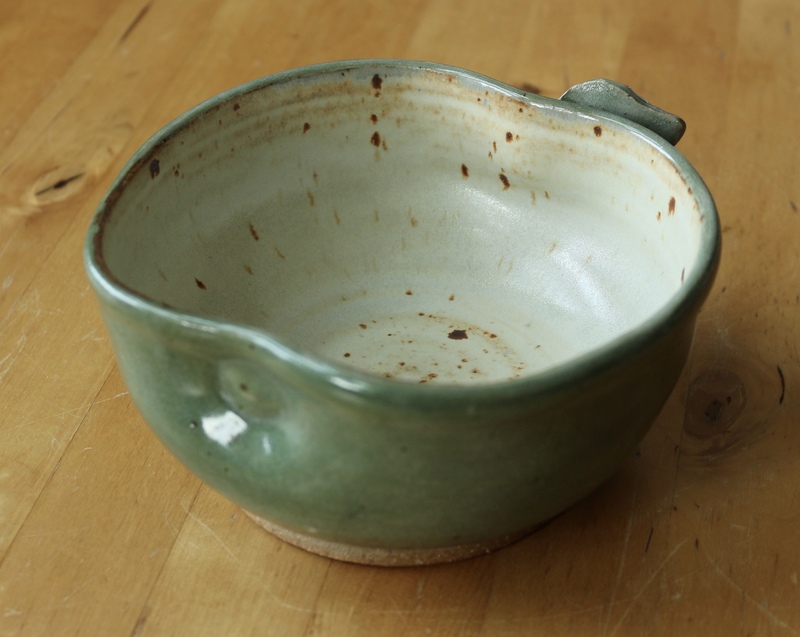 a) I was slightly short on time, and not expecting it to work I only made it using reclaimed clay, if I made another I might splash out and make it using the nice stuff, then using white glaze on the inside wouldn’t be necessary. b) It might be nice to roughen up the “base” of the apple and make it a bit spiky more like an apple. 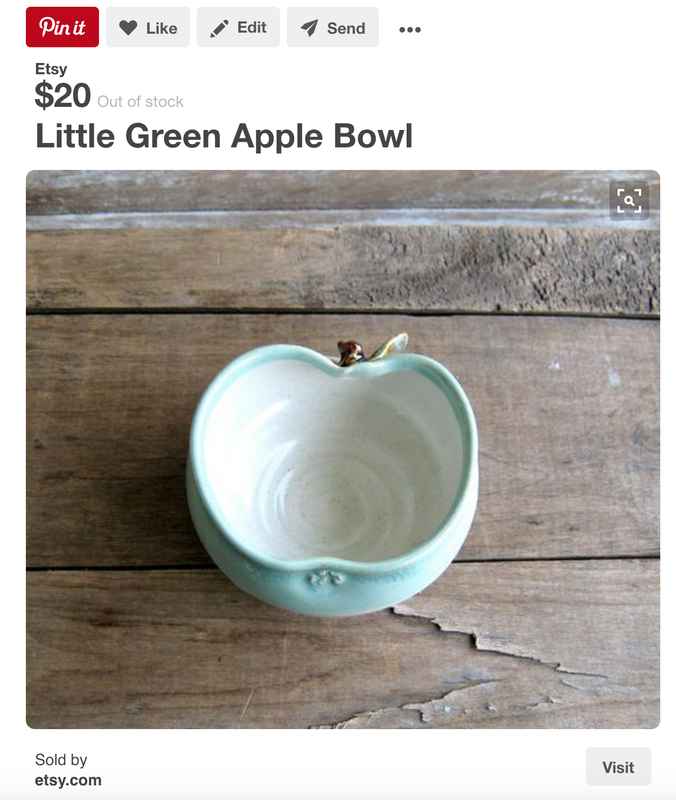 c) Maybe add some “seeds” on the inside of the bowl? I am pretty proud that I made it from scratch all by myself though! Slow improvements! This looks fantastic. I think you should be very proud of yourself and I bet your friends loved it! They did love it, so I am super pleased!